Inventor Creates Real Life Iron Man Suit - Its A Strange World. How would YOU react to the discovery/reveal of alien life? Is There ALIEN Bacteria On The ISS? 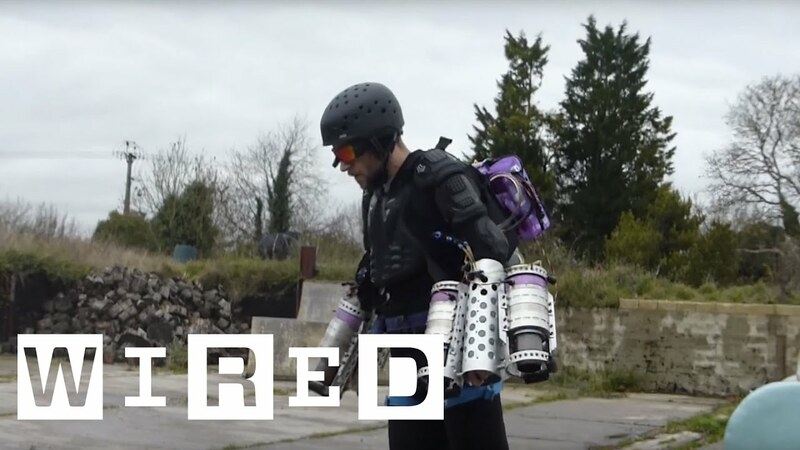 A former marine has managed to create an iron man suit by using miniature jet engines. Although due to it’s timing of the reveal causing many to believe it nothing more than an April Fools Day joke, Richard Browning has actually created a genuine iron man suit. The former marine has named his invention the ‘Daedalus’, and even in it’s infant form already boasts some cool features, with the capability of a vertical take off, and gliding through the air. Browning believes that once his project is complete, the suit should be able to fly up to a whopping speed of 200mph, and at a height of 2000 feet. Wow. At the moment in it’s infancy however, it is still only able to hover a few feet above ground. The incredible project has gone from concept to working build in only a short 13 months. Are The Pyramids Much Older Than We Think? Is There Aliens Working For The U.S. Government? What’s This Spotted In Loch Ness?